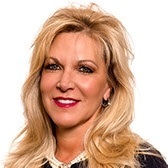 Deborah A. Meyer is Meyer Capital Group’s Human Resource Manager. To name just a few of her many tasks, Debbie is responsible for the payroll, accounts payable, and insurance. Debbie brings more than 25 years of extensive administrative experience to our firm. Prior to joining MCG, she worked for Commerce Bank and for Wilmar Industries in a variety of administrative and human resource positions. Debbie provides support to the entire team always ready to jump in and help with anything and everything. Debbie loves spending her free time with her husband and two sons at their beach house at the Jersey Shore.